Obama the winner of a Nobel Peace prize has declared WAR on ISIS also known as ISIL or Al-Qaeda. Although the term war is really not being used they are calling it a “significant terrorism operation. ” but if you believe this operation is a war your wrong according to John kerry U.S. secretary of state. Even though months ago the Congress would not allow the funding of the Free Syrian Army (FSA) because of their open ties to Al-Qaeda, the new war plan will provide $500 million of the $4 billion being allocated. The administration thinks the general public is so unaware of what’s going on in the world that they are openly funding an allied group to ISIS. They are openly funding the free Syrian army because they want Assad removed from power. Previously War was never declared with Assad because the lies that his government used chemical weapons on civilian targets were proven false when FSA posted videos on YouTube of them using the chemicals. The Obama administration is using the pretext that ISIS has bases in Syria as cover for trying to remove the Assad government. Obama and his administration are claiming a humanitarian crisis in Syria to help rally the people behind this new war aimed at replacing the Assad government in the name of fighting ISIS. The Assad government has attended UN meetings asking for help to remove the ISIS threat that has been beheading innocent Christians all over Syria, UN allied countries have declined the offer and claim it is an offer to embarrass the west. The Obama administration has made to many mistakes that have given Al-Qaeda aka ISIS the weapons and resources they need for an excuse to invade Syria. Even thought the NATO and UN allied countries claim this war is for ISIS and counter terrorism it is more about removing Assad from power . If they really wanted they would put their differences aside and join forces to remove ISIS. The so called mistakes that have been made have not only armed the Rebels that were used to over throw Ghadaffi and have taken over libya but they have also created plausible deniability as to why ISIS is using US made weapons. In 2012 a stand down order was called while Al-Qaeda was attacking a US embassy in Benghazi. During this stand down the Rebels were able to seize a cash of automatic weapons and about 400 heat seaking missiles. The state department then lied to the public claiming the attack was related to an offensive Muhammad video. When 1000 vehicles carrying about 4000 ISIS terrorists was closing in on Baghdad the Obama administration would not engage in airstrikes. These terrorist were able to overtake large areas of Iraq and were causing army bases to be evacuated. ISIS captured 52 American made artillery weapons that cost $500,000 a piece. Obama then blamed the public for this crisis saying there were no troops or air support to deploy because he kept his promise to remove troops from Iraq. ISIS also known as Islamic state has also been receiving weapons from the Syrian Rebels, the same rebels that Obama is arming. ISIS has acquired tanks including the T-72 as well as the T-55. According to a New York Times report from 2013 the ISIS terror group has received weapons from Jordanian, Saudi and Qatari cargo planes landing at Turkish airports. 106 planes to be exact. ISIS is a real threat. They are a real army who is really chopping off people’s heads. What people don’t seem to be comprehending is that western government’s are using this threat to advance their international interests. A good analogy to understand this is a mafia claiming you need protection. You must pay the mafia so bad things don’t happen to your business when really they would be the ones to send people to break windows or damage your business if you were not to pay. Really creating the threat so that you will use them as protection. This is precisely what ISIS is being used for. As real as they are, those who have trained and armed these people are the same people claiming to fight them for your safety. We must stop these wars that all started because of an attack on American soil famously known as 9/11. The investigation into 9/11 has left many people including over 2000 architects and engineers wondering how the laws of physics were broken that day. If you still believe the official story of 9/11 well I’m sorry to also Inform you that Santa Claus isn’t real. Wake up and realize as much as there are real terrorists they are being guided and protected by intelligence service to fund and create more war and more surveillance of innocent citizens. 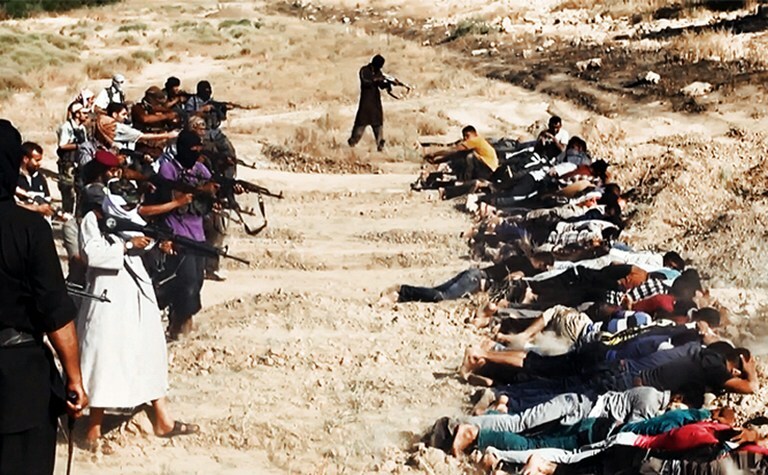 September 13, 2014 in isis, militarization, politics.